As cycling gains popularity around the globe, electric bikes are emerging in a corresponding fashion. Shimano is one of the most renowned bike part production companies in the world — its parts (and iconic logo) is incorporated into a multitude of brands and products. The company boasts cutting-edge metal processing technology and lightweight parts with flawless functionality. The recent unveiling of Shimano STEPS (Shimano Total Electric Power System) aims to revamp the way you think about e-bikes, boasting a variety of options available across all facets of the cycling world. Whether you prefer navigating the city streets or challenging the rugged mountainside, it’s likely there’s a Shimano STEPS system befit they type of e-bike you plan to ride. Shimano STEPS essentially serves as an electric bike system for every class of e-bike. Three separate product styles offer varying levels of power pre-installed on a wide number of brands and models. Shimano STEPS City allows you to cruise through town, commute to work, or meet your friends without exhausting yourself. Shimano STEPS Trekking is a bit stronger, allowing you to venture out into nature and cover long distances over tough terrain while retaining energy for the rest of your day. 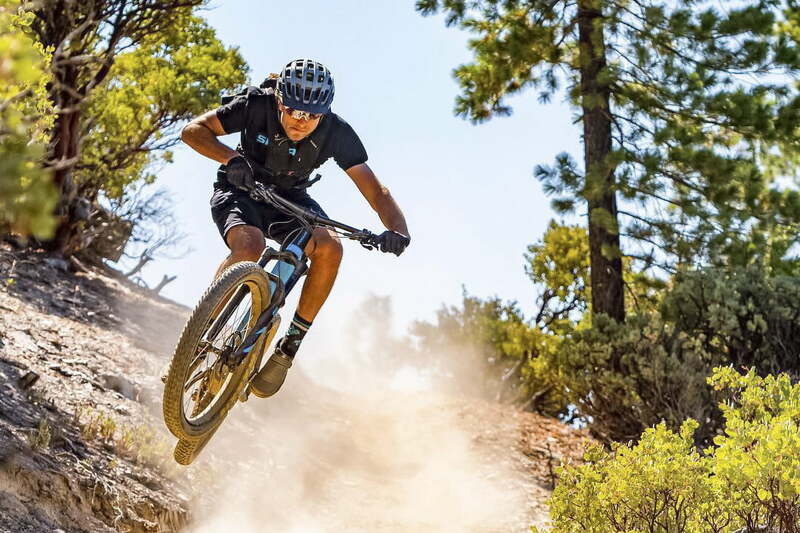 Shimano STEPS MTB is meant for the truly adventurous, encouraging you to hone your skills on the mountainside while allowing you to ride faster and longer. Shimano’s goal is to make cycling more fun by fueling the natural pedaling motion with electric power. Shimano’s goal is to make cycling more fun by fueling the natural pedaling motion with electric power. By boosting each pedal stroke, riders can travel further, expend less energy, and tackle big hills with ease. The Shimano STEPS system is intended for every kind of rider, allowing you to leave your car in the driveway and get back on your bike. Shimano highlights the STEPS system through four important components, including an intelligent drivetrain that anticipates your next move, a lithium-ion battery that’s rechargeable over than 1,000 times without loss in power, three different power-assist modes, and seamless shifting. Its three power-assist modes are available on both the City/Trekking E-Bike and E-MTB models. In Eco mode, this allows you to ride up to 93 miles on a single charge, boosted by an electric tailwind which helps you ride easier and longer. In Normal mode, the same ride lasts for up to 63 miles on a single charge, tackling steep terrain and long distances with ease. In High mode, the distance drops to 44 miles on a single charge, covering more ground with much less energy expenditure. This innovative Shimano system can be broken down into five basic concepts, referred to (unsurprisingly) as “steps.” The first step highlights the provision of smooth, positive energy, allocated by a natural, pedaling feeling and an added boost of power. This step exemplifies the silent control provided by the system. The second step outlines the power provided to take you further, including a simple display, superior weather resistance, and a full battery charge in just four hours. Step three explains the importance of smart shifting, provided by tried and true Shimano components while step four highlights the advantages of a simple interface that’s easy to read and tracks speed, mileage, and assist level. Step five deals with the power-assist modes at the heart of the system, providing for the exact amount of energy you need while on the go. Shimano’s E6000 serves for both the City and Trekking options and is comprised of four different e-bike components. The motor is compact and lightweight, boasting a sleek appearance that doesn’t detract from your riding experience. Power is provided by a high-quality lithium-ion battery designed to last up to 93 miles on a single charge, ensuring more than 1,000 charges without a loss of energy. A cycling computer is mounted directly onto the handlebars, offering a high-contrast display and a combined ergonomic switch unit. The computer functions are comprehensive but easy to use, tracking speed, distance traveled, trip time, estimated range, and battery life, also serving as a clock and gear display. The chainring is available in 38T or 44T and the crank length available in 170-millimeter or 175-millimeter sizes. The City system is designed for short commutes, running errands, and general outings, providing you with just that little bit of extra push needed to get you to your destination feeling refreshed. The Trekking system is designed for premium adventures, offering you a greater travel radius and an increased level of assistance. The difference between the two? The Trekking system includes a larger capacity battery and better power management. Both the City and Trekking systems include a walk-assist feature, in which your bike moves its own weight forward at the touch of a button. These models also boast a start mode, which shifts your bike to a lower gear after you’ve come to a stop. In addition, both systems are made with excellent weatherproofing to resist the wettest of elements. The mountain biking (E-MTB) Shimano STEPS system is powered by the brand’s E8000 product model. The company claims the system mimics the traditional feeling of riding a mountain bike while offering intuitive trail assistance. A robust motor is crafted strong enough to handle rugged terrain, giving you just the right amount of electric support. The motor weighs 6.2 pounds and handles speeds up to 16 miles per hour. Shimano designed the crankset to be lightweight yet rigid enough for direct power transfer. All drivetrain components work in sync with each other and this system features the Shimano Hollowtech II bottom bracket for extra strength. The E8000 contains the e-MTB Switch Unit (SW-E8000-L) which provides for the specific demands of mountain biking, including tight, single-track riding and covering extremely uneven terrain. This Firebolt Switch Unit intuitively alternates between power-assist mode and the system’s Boost, Trail, Eco, and Walk settings. These four support settings are made for different purposes. Walk assists you when you need to get off your bike and walk, while Trail was designed for single-track riding, offering low, medium, and high options and automatically adjusting according to pedal pressure. The Boost setting is made for climbing, also offering low, medium, and high options while Eco is intended for those long-distance expeditions. The computer display on the E8000 is more technical than the E6000, allowing you to further personalize your power-assist settings. Choose Dynamic, Explorer, or Custom mode depending on your terrain and riding style, and enjoy the color-coated, easy to read LCD display. You can also customize your settings via Bluetooth, making for a truly intuitive experience. The battery goes for up to 62 miles on a single charge and also lasts for more than 1,000 charges without losing power. Whether you enjoy long distance treks through the backcountry, averting traffic on busy city streets, or tearing down the mountainside, there’s a Shimano STEPS e-bike to suit your needs. Choose between the City, Trekking, or MTB styles outfit with either an E6000 or E8000 power system. Shimano STEPS systems are pre-installed on a number of popular brands. 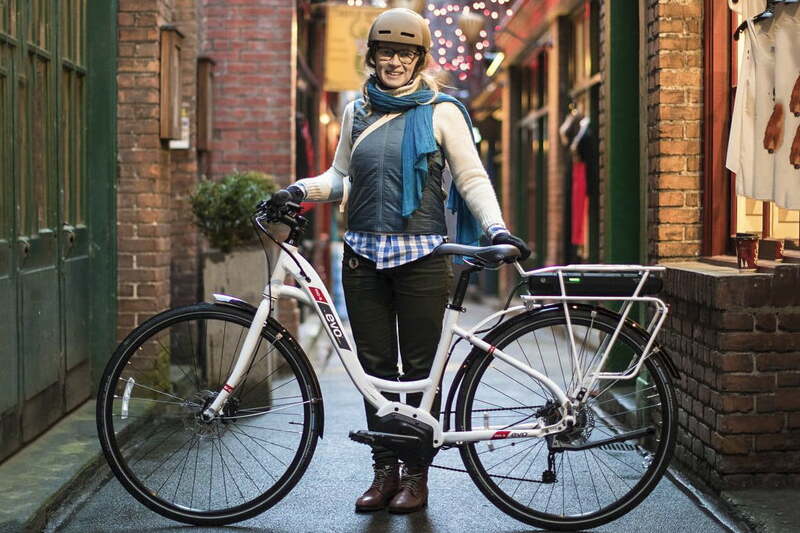 A few City/Trekking style options include Trek, Raleigh Electric, and Felt. MTB brands are highlighted by Focus, Ghost, and Wallerang. The best part? There is always a STEPS dealer near you, whether you’re picking out your first bike or searching for a replacement part. You can find a Shimano STEPS dealer via the company’s website.